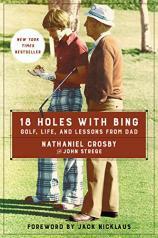 The way that Bing Crosby chose to bond with his son, Nathaniel, was on the golf course. Not surprisingly, the boy enjoyed the attention and took to the links as enthusiastically as his famous father. In this gentle paean to Bing, Nathaniel, with sportswriter John Strege, recalls growing up with a dad who, as The Times of London once stated, was a singer more listened to than “any mortal in human history” --- but who was just about as happy playing a round of golf. It is impossible to write about Bing Crosby without writing about other greats of the 20th century entertainment pantheon --- such as Bob Hope, Phil Harris, Louis Armstrong and Grace Kelly --- as well as icons from other spheres, including Presidents Eisenhower and Kennedy, and oilman George Coleman. But Bing was equally at home with golfing greats like Ben Hogan and Arnold Palmer, and with the Hollywood celebrities --- James Garner, Burt Lancaster and George C. Scott --- who were drawn to the links as powerfully as he was. Bing once said that, for him, playing golf was “a wonderful relief from tensions, from the problems of show business. "18 HOLES WITH BING is filled with links legends and lore enough to satisfy the armchair duffer, the dedicated sportsperson, and the nostalgic Bing Crosby fan." At the top of his singing game by the time World War II broke out, Crosby and his comedic sparring partner, Hope, volunteered to serve --- and serve they did, as entertainers. Those experiences overseas sealed Bing’s lifelong love of the British (and their golf courses) and led to Nathaniel and his siblings being raised in part by an English butler and nanny who later worked for Prince Charles and Lady Diana. Never totally spoiled, Nathaniel grew up in a whirlwind of golfing adventures, pushed to excel by his watchful father. When he was 19, Nathaniel won the U.S. Amateur, soon followed by the Porter Cup. Though Bing was not a very demonstrative dad, never saying “I love you” to his son, he once declared that “the happiest day of his life” was when his son won the men’s club championship at the Burlingame Country Club. A good golfer if not a great one, Bing Crosby’s most memorable contribution to the sport was undoubtedly his instigation of the pro-am tournament concept, starting in 1937 on a casual, friend-to-friend “clambake” basis near his home in Rancho Santa Fe, California. At that first event, Sam Snead won the top prize money of $500 and, legend has it, demanded cash instead of the proffered check. 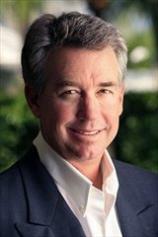 From there, the pro-am idea took off and multiplied, and the tournaments Bing founded raised millions for charity. After his father’s death, Nathaniel hosted a number of the tournies and racked up achievements as a personable sportsman and sports businessman. 18 HOLES WITH BING is filled with links legends and lore enough to satisfy the armchair duffer, the dedicated sportsperson, and the nostalgic Bing Crosby fan. Throughout the book, Nathaniel paints Bing as an articulate, intelligent man who could memorize a speech in a couple of quick read-throughs, who spoke and jibed as smoothly as he sang, and who, though hobnobbing constantly with the most notable figures of his day, never lost the common touch.